Team success or failure totally depends upon the team work. Proper teamwork can do great wonders, which in an overall helps the company and also improves employees capability. Working successfully as a team creates force, enhances resolve, wins challenges, and can even can increase productivity. 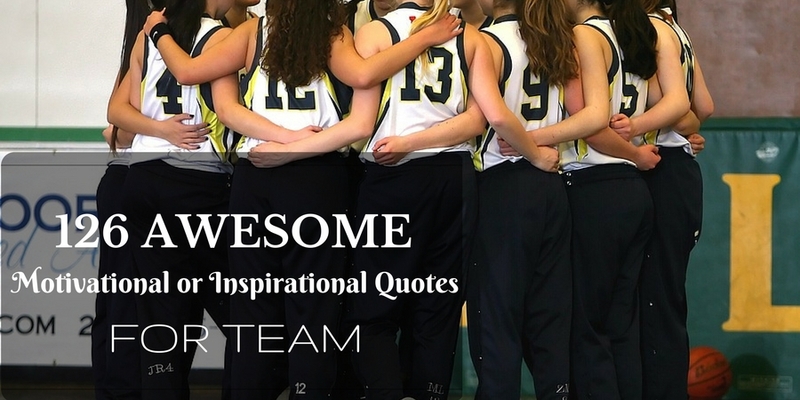 To move your team to unite as one and exhibit coordinated effort, we’ve accumulated some of our most cherished quotes on the strength of the team. 20. “A team is more than a collection of people. It is a process of give and take.” – Barbara Glacel & Emile Robert Jr.